This high quality, well manufactured woven bandage is fully elasticated and adhesive coated for quicker and simpler use. Made from a tightly woven cloth base for extra strength and durability, Robinson Veterinary Flexoplast is particularly effective for immobilisation, support or compression. 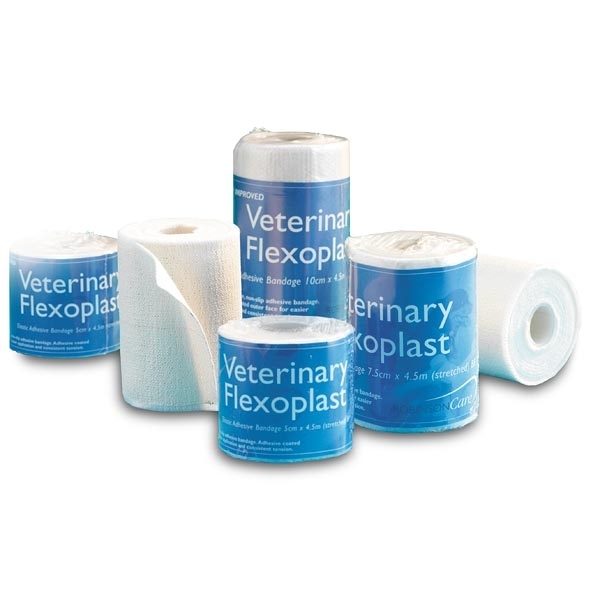 There are currently no questions for Robinson Veterinary Flexoplast - be the first to ask one!